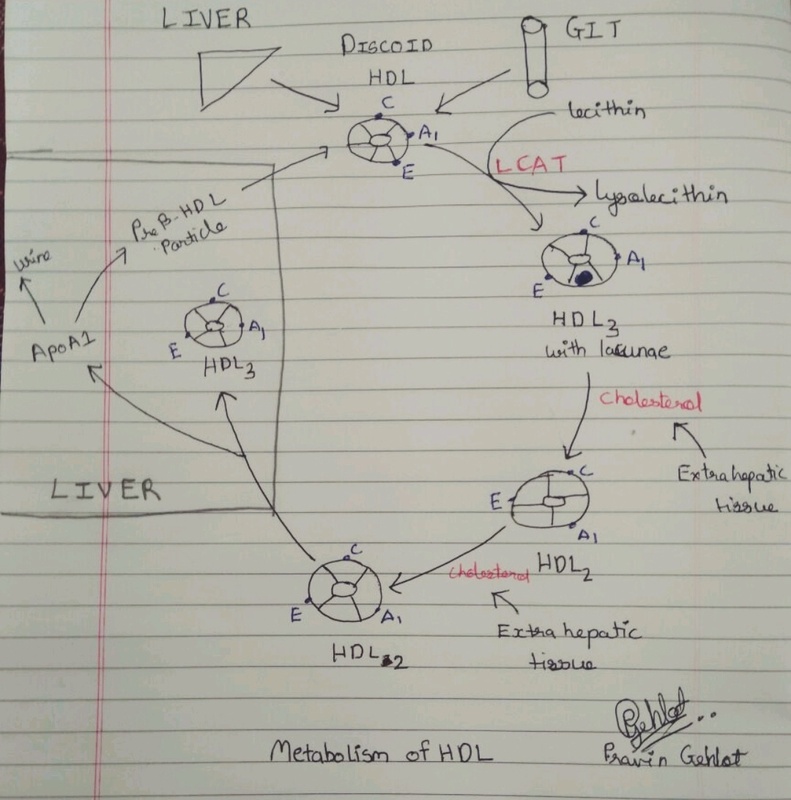 Here is a short post on the metabolism of HDL. 1) Discoid HDL appears in plasma from gastrointestinal track, liver and from pre-beta HDL. 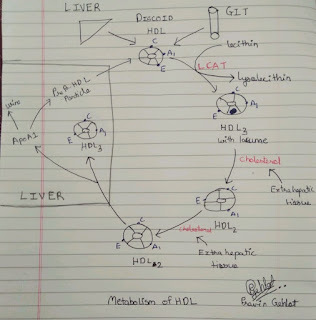 2) ‎LCAT forms lacunae in the shell of discoid HDL by forming cholesterol esters which are mabed to the centre of the molecule thus forming HDL2 of low density. 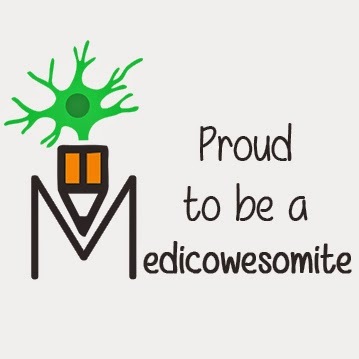 3) The lacunae gets filled with the cholesterol from extra hepatic tissue. 4) This forms HDL3 of further low density. 6) Apo A1 is either excreted in urine or attached to Pre-beta HDL particle which continues the cycle. Note:- C, A1, E are the apoproteins.